We have a massive range of snowboard socks and ski socks, including tube socks and ergonomic merino wool socks for snowboarding and skiing. Lots of cheap deals plus top of the range premium thermal socks featuring cool max and lycra fabrics. 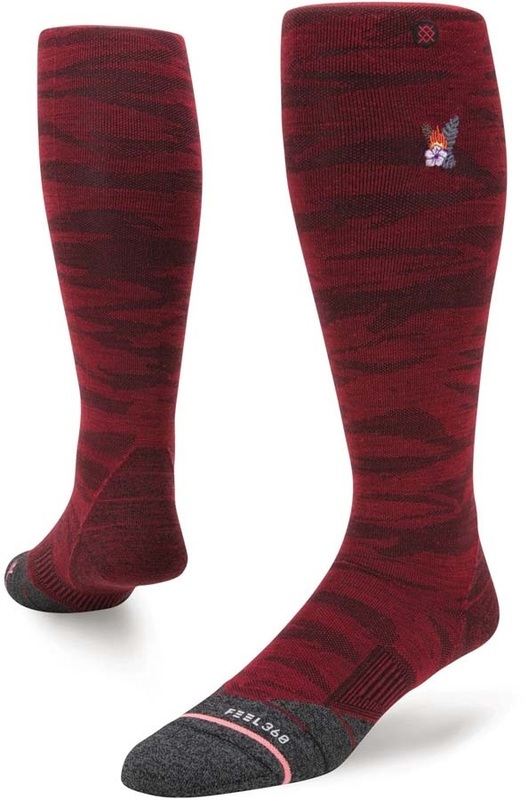 Our main sock brands include Burton, Salomon, Horizon and Falke. Lightweight merino wool socks designed for freeriding/backcountry skiing to give you premium breathability, comfort and performance. Supportive, soft wool ski/snowboard socks for all day warmth and comfort. Medium weight ski socks for women who want the finest quality merino available! The SK4 from Falke is a high performance Women's ski sock designed to give precise and uncompromising control for pro skiers. A comfortable women's Mid weight Sock perfect for any season of snowboarding. Super comfy classic two-pack Burton snowboard socks. The Women’s SK2 from Falke is a high performance knee-high ski sock designed with medium cushioning for all day skiing comfort. Cushioned Ski/snowboard socks made with natural fabric from Stinky. Revolutionary technical ski socks with built-in heating system. Women's PhD® Ski Light Elite Pattern Socks: Lightweight women's specific ski socks from Smartwool with targeted cushioning.